While shopping at Trader Joe's in preparation for my Whole30, I was really bummed with the selection of marinara sauces. Jarred "pasta sauce" is one of my pantry staples~ for although I don't eat pasta, I always keep sauce hand for making a quick meat sauce or serving over meatballs & veggies. Typically I go for the one with the "cleanest" ingredient list, and don't inspect the nutrition label too closely. So, I decided to create my own~ and now I'm never buying a jarred sauce again. :D You can do any type of ground meat, I just chose ground turkey this time around. Add whatever veggies you like, and feel free to double the meat, or even double the whole recipe. This is just what worked for me (cooking for myself) for the next couple days' dinners. 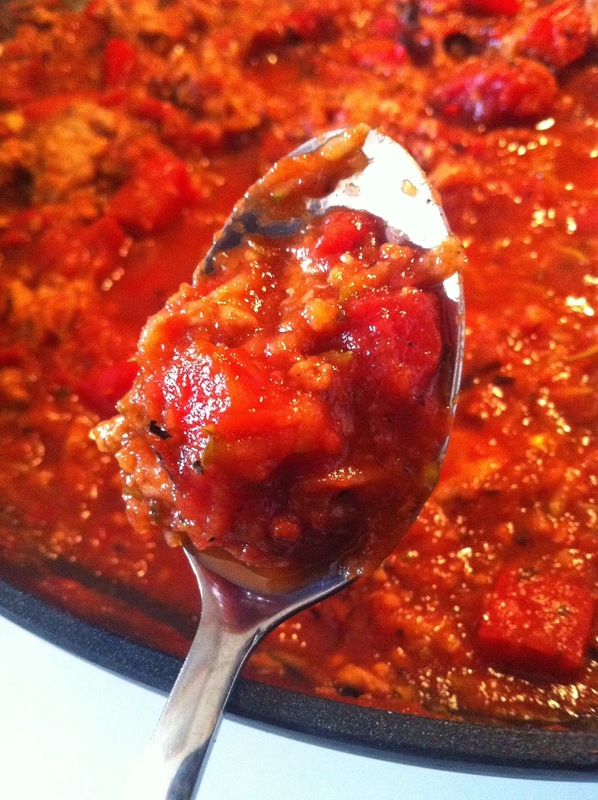 This recipe is SO fresh, hearty, meaty, savory, & packed with great flavors! I mixed fresh ingredients with quality canned ones to create a quick & simple sauce that's 100% Paleo and Whole30 compliant. Make sure your canned tomatoes are free of sugar and/or other unnecessary additives, and go for organic! In a large skillet, heat a drizzle of olive oil (about 1 Tbsp) over medium-high heat. Add the ground turkey, and sauté until broken up and no longer pink. Add the garlic, red bell pepper, and zucchini (I grated mine right into the pan, but you could do it ahead of time too!). Sauté until the veggies are tender, about 3-5 minutes. 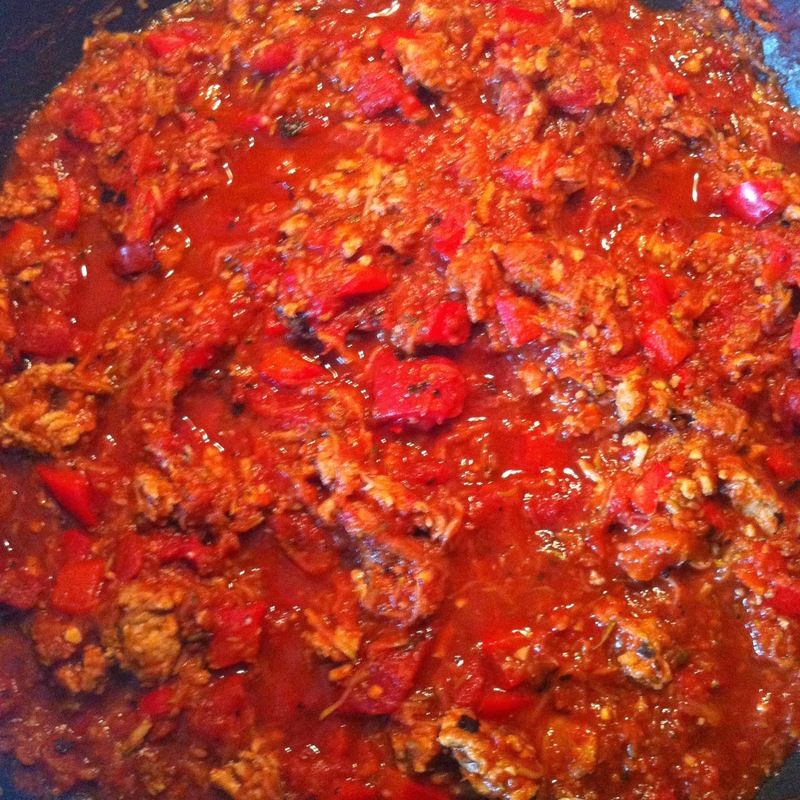 Pour in the tomato sauce & diced tomatoes, and top with spices. Stir until combined. Reduce the heat to low, and simmer for 15-20 minutes.